The time for my monthly team lunch (I mean meeting…) was upon us, and I still hadn’t found a suitable place. The expectations have increased every month, as my colleagues were introduced to beef bulgogi, steak haché and steamed lobster. Every place I looked at seemed a little too ordinary, a little too … Unimpressive. As I’m moving to Munich in February for a 6-month work rotation, I wanted to make this second-last lunch one to remember. Enter Aqua Kyoto! This lunch is largely due to their superb Twitter engagement (follow them here). I read about them via Samphire & Salsify’s blog, and was really enthusiastic about their food, until I saw the prices. Luckily, they wrote to me informing me of their lunch menu, which is far more reasonable, and so I booked a table without delay. The 5th floor on Regent Street? Sounds incredibly fancy. In reality, the view isn’t great, as all the buildings around are the same height, and it was obviously too cold to sit outside. Having said that, the inside was absolutely beautiful. I loved how we could observe the sushi chefs at work, and the grill was very impressive (although not as much as the very effective extractor fan above it!). Now the food. Wow. All 4 of us actually ordered the same thing ( the choice was very limited, with 2 choices for course 1, and 3 choices for course 2). The presentation, however, was impeccable. 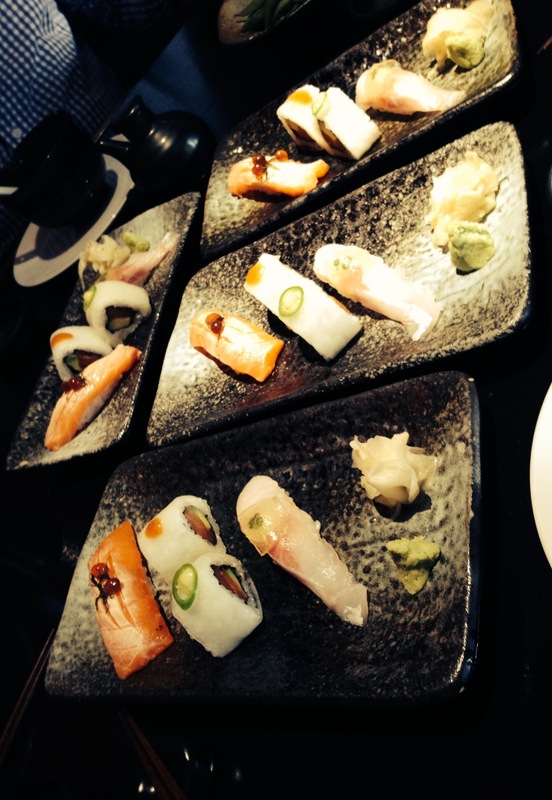 The sushi tasted so fresh, and it made me ashamed of all those times I hit up Wasabi to satisfy my sushi cravings. 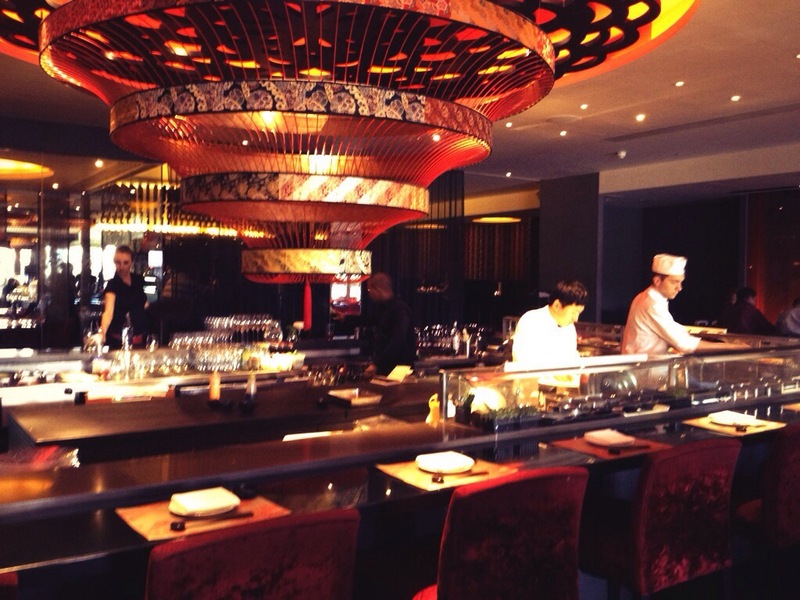 It’s far better to skip that a few times, and save that money to have really nice sushi here! 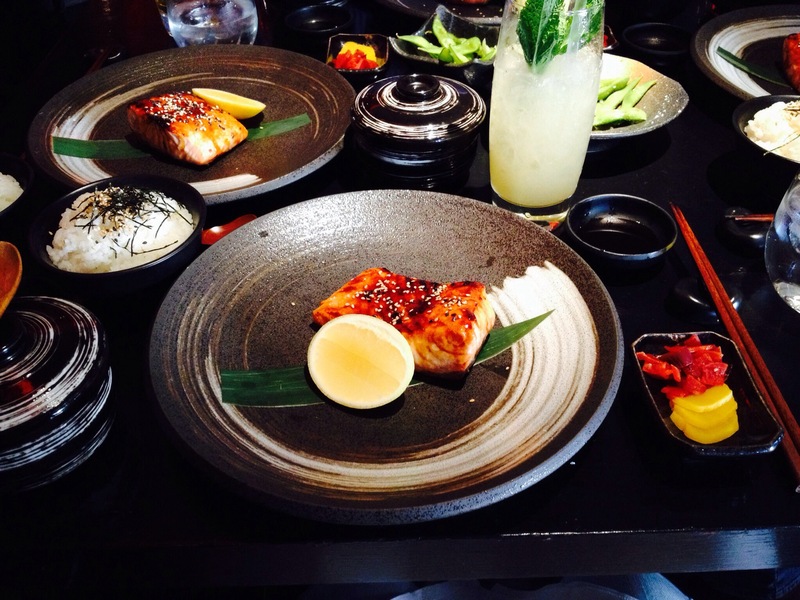 We all had the teriyaki salmon, which was served with rice, miso soup, pickled vegetables and ‘steamed egg’ (chawanmushi). My salmon was a little overdone on one side, but the rest of it was perfectly soft. Unfortunately, none of us really warmed to the chawanmushi – I think it’s a very acquired taste! I also had the Japanese velvet cocktail, which was stunningly refreshing (my colleagues opted for beer). Somehow, East Asian restaurants always seem to have better cocktails than Western ones! I distinctly remember the deliciousness that was my cocktail at Bibigo, as well as Ping Pong and Cay Tre. 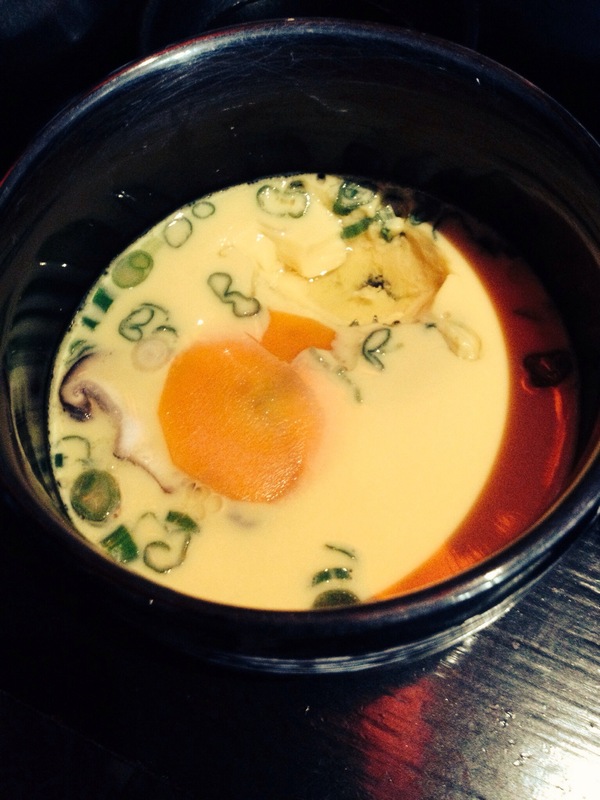 Chawanmushi – steamed egg. A little unusual!